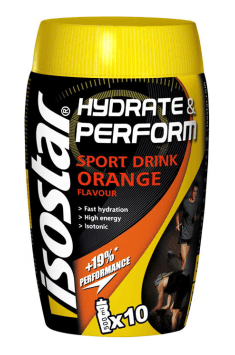 Isotonic drink – what is it? An isotonic drink has the same osmolality as body fluids. It contains as many molecules in 100 ml and is absorbed as quickly or faster than water. Thanks to its isotonic properties, it quickly irrigates and adds strength after intense training. Who are the isotonics for? For isotonic drinks it is worth reaching only when your training lasts longer than 1.5 hours. If you drink isotonics always (even during a short activity) you may find that you have burned fewer calories than you drank. Remember that isotonic beverages are in most cases sweetened to supplement carbohydrates (muscle glycogen). If you are losing weight, but still want to hydrate well after training, put on isotoniki without sugar. How to make homemade isotonic with sugar? Dissolve sugar and salt in warm water. Add squeezed lemon or orange juice. You can add a few rosemary letters to the drink. How to make home-made fruit isotonics? Cooled fruit juice mixed with water. Mix the salt in the mixture. How to make a tea isotonik without sugar? Add slices of lemon or lime. You can read also: Proper isotonic drink! Previous Post How many calories do fast-food dishes have? Next Post How to lose 3 kg in a week?